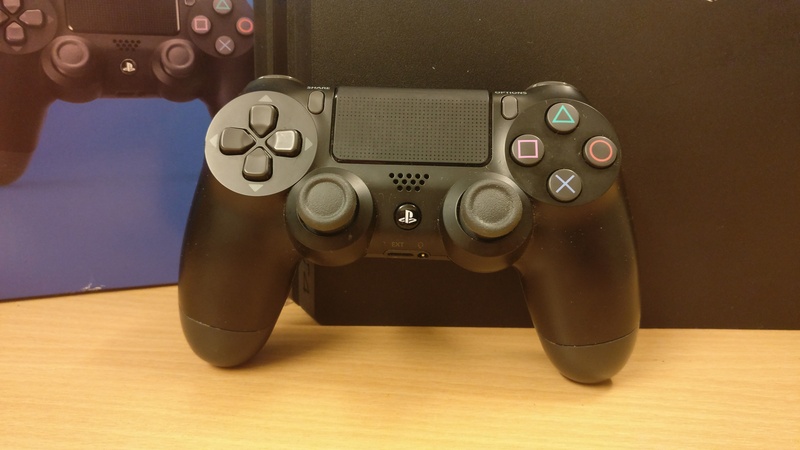 This Guide covers everything regarding why your PlayStation 4 is overheating. Usually this means that you’re console is running hot and consistent cleaning or allowing the console to cool down may help the issue. However it may also indicate a fault with the console. Depending where you are in the world. Console temperature may effect you more than you would think. Sony have developed the PlayStation 4 with this in mind and have made 3 incredibly robust Consoles. 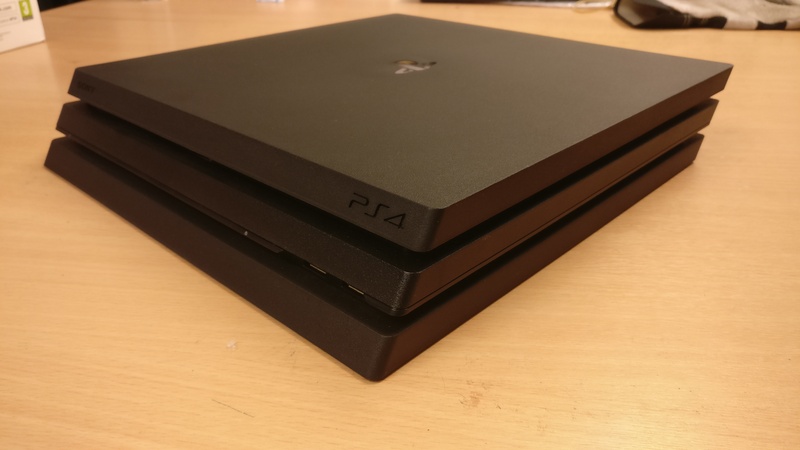 Sadly – If you still dont provide your PlayStation 4 with the proper care the console may still over heat and cause you issues. Why is My PlayStation 4 Overheating? If your PlayStation 4 is overheating you will notice that games will become sluggish, drop frames and in some situations straight up freeze and crash. Usually this will follow with the console needing a restart before playing again. 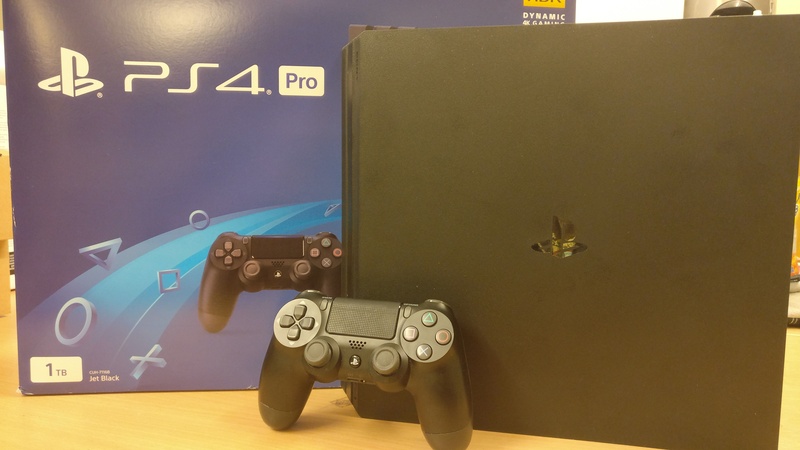 If your PlayStation 4, PlayStation 4 Pro or Slim is running hot for extensive time periods you may cause significant damage to your console. The PlayStation 4 features small grates and grills which are designed to allow for airflow. However if these become clogged or blocked then you will disrupt the airflow increasing the temperature of the console. Which PlayStation 4 Do you have? This Cleaning guide will cover all manners of possible PlayStation 4 Console. So be sure to identify which console you have and be sure to follow the steps below. PlayStation 4 Pro Cleaning Walkthrough. The PlayStation 4 Pro is the larger and more powerful of the available PlayStation 4 Consoles. It delivers a full 4K Output and HDR enabled footage. 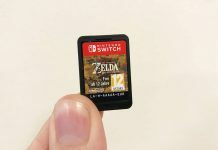 It also features an extensive storage size for all of your games. 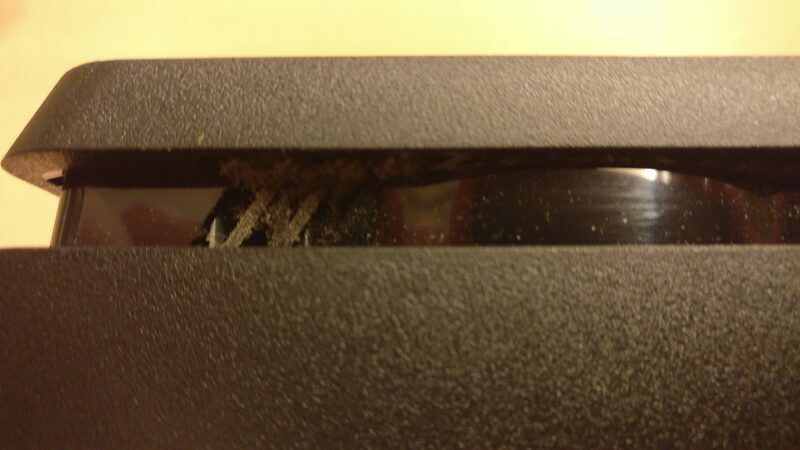 Unless your Console is in a poor ventilated area or the grills are truly covered with dust and debris. It’s very unlikely your PlayStation 4 Pro will overheat. Unlike the PlayStation 4. 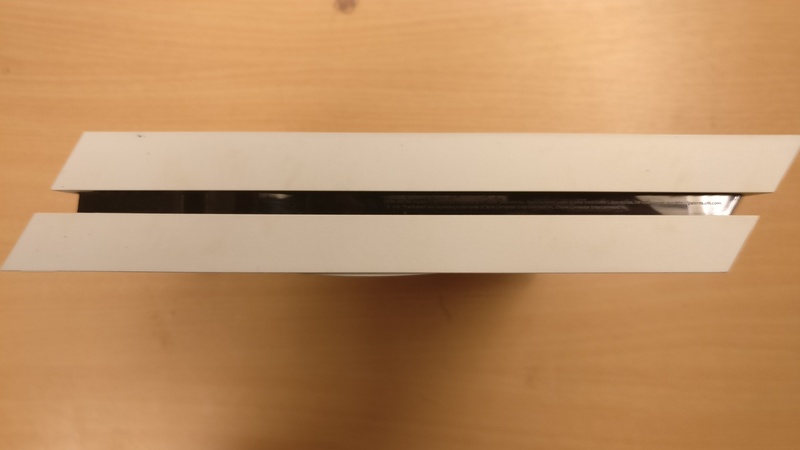 The PlayStation 4 Consoles do a much better job in featuring their air intake system without effecting the design of the console. The Play Station 4 will feature small grills which are found on the underneath of the side panels. To clean them you will require a small soft brush and some compressed air. Similar to the Side Panels. The Outtake grills are featured on the Back of the PlayStation 4 Pro. They can be found inside and underneath the rear panel. It’s easy to miss and you will need compressed air to clean. PlayStation 4 Slim Cleaning Guide. 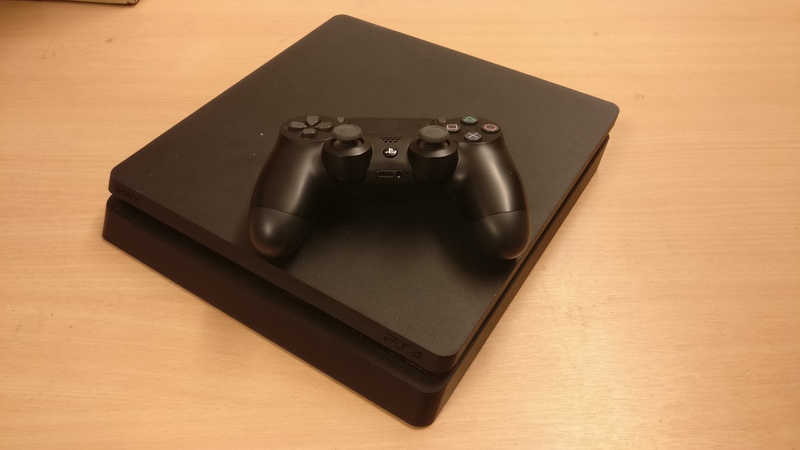 The PlayStation 4 Slim is a smaller sleeker console that the Original PlayStation. The Big difference between this console and it’s previous iteration is the size of console. It also has less focus on grills and air flow. However despite this we’ve had very little issues with a PlayStation 4 Slim overheating. Featured all the way throughout it’s design the PlayStation 4 features small grills located all around the console. 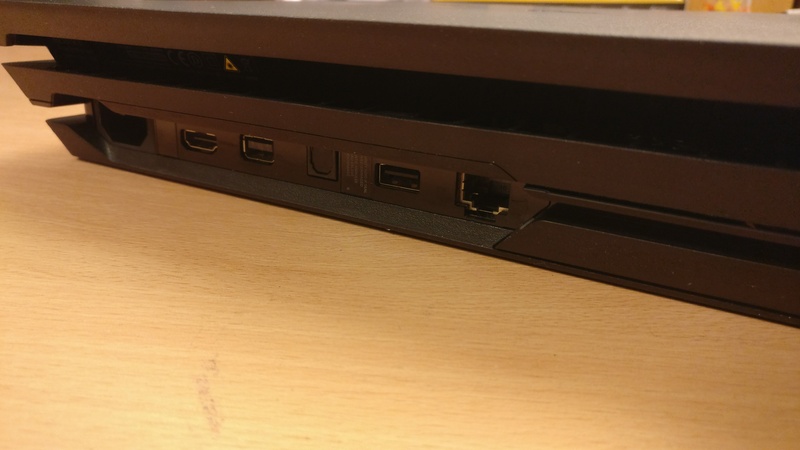 It is easy to miss however they can be found within the indent of the PlayStation 4 Slim. PlayStation 4 Original Cleaning Tips. The Original PlayStation was visibly more focused on expelling hot air from within the console. It is also the louder of the consoles. However this is normal as this was the first iteration of Sony’s Flagship console. 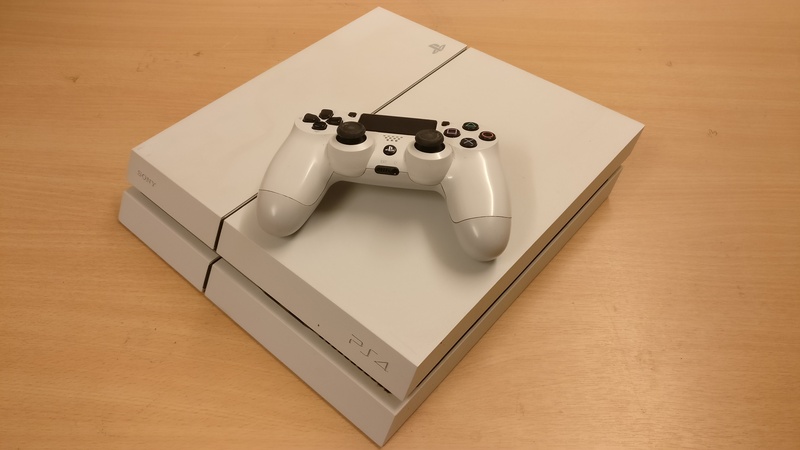 Cleaning of the Original PlayStation 4 is necessary due to the age of the console. Also if you’ve purchased this console second hand then we generally recommend to give the console a thorough clean before use. Along the back of the Original PlayStation 4 you will see a wealth of grills and exhauts which allow the console to dispel excessive heat. You need to ensure that these areas are kept clear. Be sure to use a small thin brush and compressed air to deal with this. 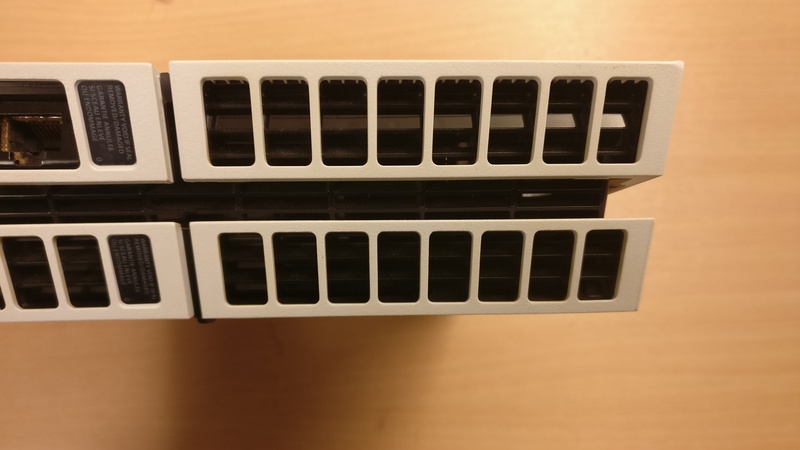 Similar to the PlayStation 4 Slim – Underneath the side panels you will notice small grills which you can gain access to with once again a small brush and some compressed air. As you can see from the picture above. 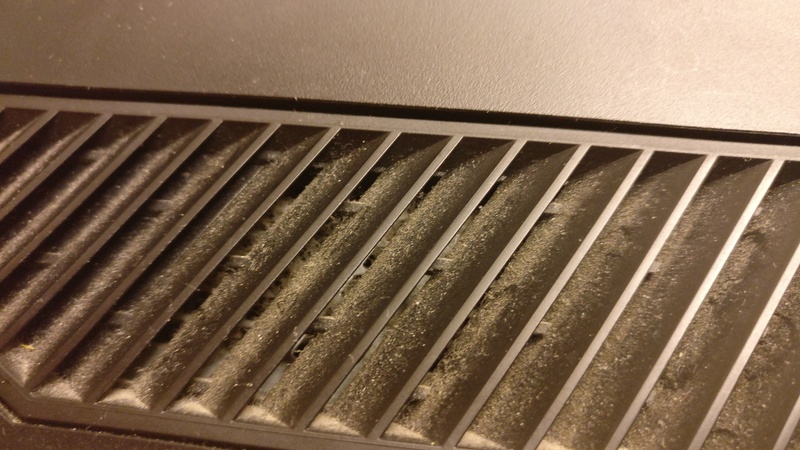 Negligence to cleaning your Console will result in a dust and particle build up within your console restricting airflow in your PlayStation 4. It’s very important that you place your PlayStation 4 console regardless of the model in an area in which has sufficient air flow. If its a particularly warm day and you have direct sunlight hitting your console through windows. This will provide warm spots on your console. Ensure that your PlayStation 4 is in a Shaded area of your living room or bedroom. If you find that your PlayStation 4 console is warm to the touch then it’s suggested that you take a break and let the Console cool down. It’s crucially important to take steps to avoid your PlayStation 4 From Overheating. 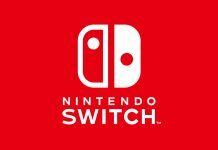 Remember if the issue is left then it may cause permanent damage to your console. If you believe that your Console is clean and yet the temperatures are worrying levels then be sure to seek a repair or replacement from your Warranty. Below we have listed more PlayStation 4 Guides which may aid you.